I did install the flex fuel injectors. The weather has been to bad here to drive the car to test it out though. 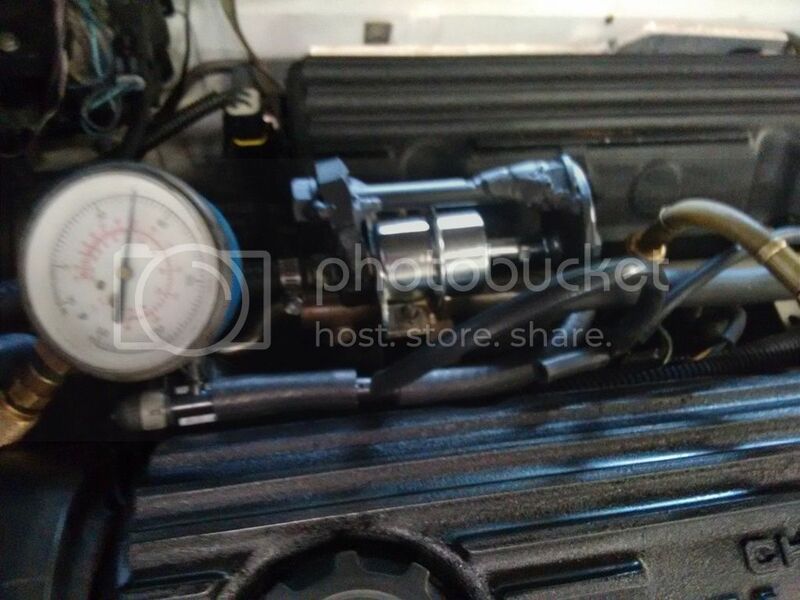 I have two fuel pressure regulators, the stock stainless one that I believe is set to 55 psi and I bought one that fit the GMC Typhoon, turbo Trans Am and earlier 3.0 gm v6's. It has a base pressure of 45 psi. Bolts on to the stock rail and looks exactly like the factory one. I have it on the engine right now. If the fuel is close on the wideband under most driving conditions I will just leave it on and fine tune the cal. If its a little lean all around I will use the c-clamp adjustment on it. If its way too lean I will just put the stock 55 back on and go from there. I made a small test station and used it to clean the flex fuel injectors before I put them on the engine. I was able to do a crude flow test also. I will get some pics of that up soon. Wow, nice find, where at in WV are ya? Right near the middle of the state in Webster county. I finally got the video posted of cleaning up the flex fuel injectors. There was a lot of dead gas varnish in them from sitting for a few years. The number 1 injector took a little tapping on its side with a wrench to get it unstuck and had a lot of nastiness spray out the first few times it fired. All four injectors sprayed at bad angles to start with but cleaned up nicely after a couple of days of sitting with cleaner in them and being sprayed every once in a while. Wideband and boost gauge installed. I'm on my fifth cal revision now, car runs pretty good so far. Just getting a base setup so I can drive the car to work and back. Next I plan on installing an intercooler and then I will finish tuning. So i got the gauge and pulled my message center and need to buy a little accessory kit for my Dremel to get it in there how i want. Pics to follow..someday. I am guessing you meant to post that in your 89 Dodge Spirit project? Makes sense here too though as I just installed mine lol. Great minds think alike tho.. yeah.. that's it! I wanted to use the flex fuel injectors since I had two sets of them and I know they flow more than the stock 2.5 turbo injectors. 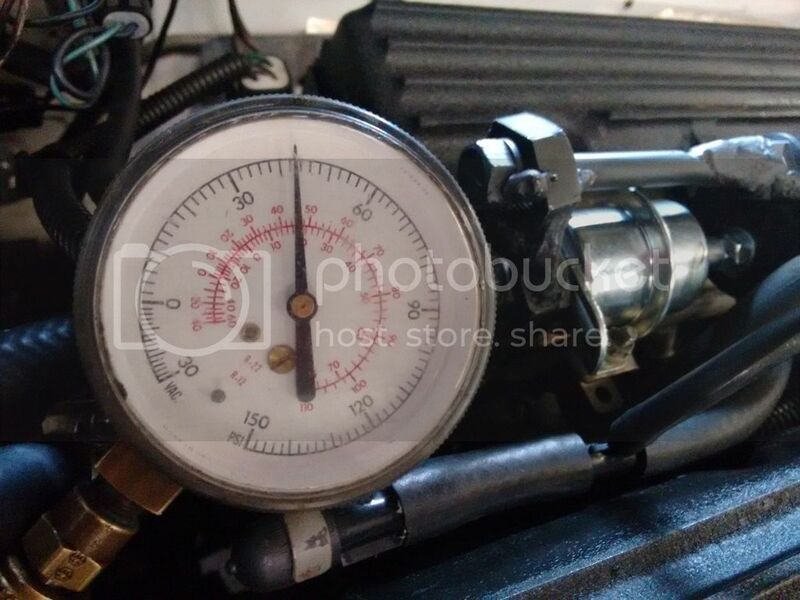 Its been the subject of several discussions as to just how much more they flow so I figured I would start off with lower fuel pressure and gradually raise it until the wideband agreed that it was in the range of the stock injectors flow rates. 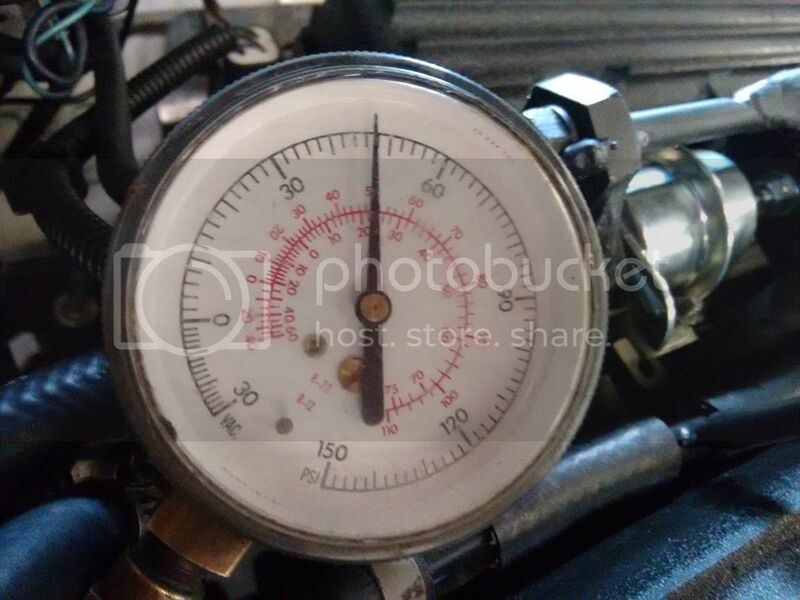 Just for testing purposes I put in the stock regulator which was set at 55 psi. The fuel was rich at all points with the ffv injectors. After 20 or so miles the computers adaptive memory reduced the pulse width enough to be drivable at idle and cruise but would still peg my wideband under wot at a ratio of 9 to 1. So I ordered a regulator normally used on gm vehicles in the 80's and early 90's like the GMC Typhoon, Turbo Trans AM and some 3.0 v6 engines. I can get them for about 17 dollars. They are suppose to be set at 45 with the vacuum line off. Normally they are not adjustable but I used the same old trick I did back in the 80's to bump fuel pressure on my Omni. I used to have a tool I made years ago to do this but I could not find it so I made another one at lunch the other day. Its pretty self explanatory as to how it works. About 43 psi. Driving the car around at this pressure was ok but the car was lean and again the computer tried to add pulse width to get it back in a normal range but it still had problems. So I raised it 4 psi. I did this while the engine was idling but with the boost reference hose off the regulator. I would just tighten the bolt down and give it a few seconds to stabilize. I actually ran it up to 50 knowing that as soon as I unhooked from it the pressure would drop slightly. Now when I drive it the fuel trims are in line with the factory specs. Bigger injectors running a little less fuel pressure. I will run it this way a couple of weeks and see how it does. So would you surmise that the long held theory for the FFV injectors flowing 6%-8% MORE than TII injectors is correct? They are definitely a little bigger than TII injectors. 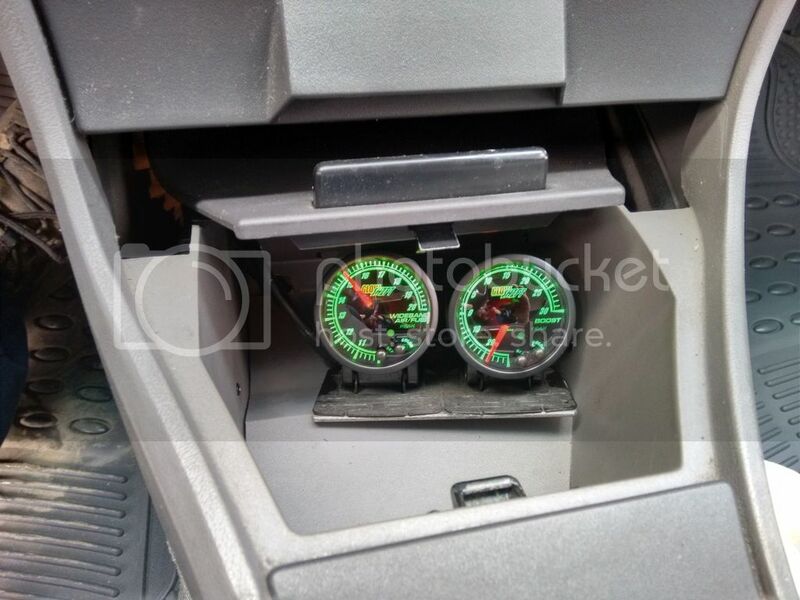 As I mentioned they will run with a stock computer a 55 psi but even with the computer compensating they are still on the rich side especially at wot. Running them on my car at 47 psi seems to be very close to what the original injectors did at 55. If that is correct then I would have to say the ffv injectors flow about 37 lbs at 55 psi. 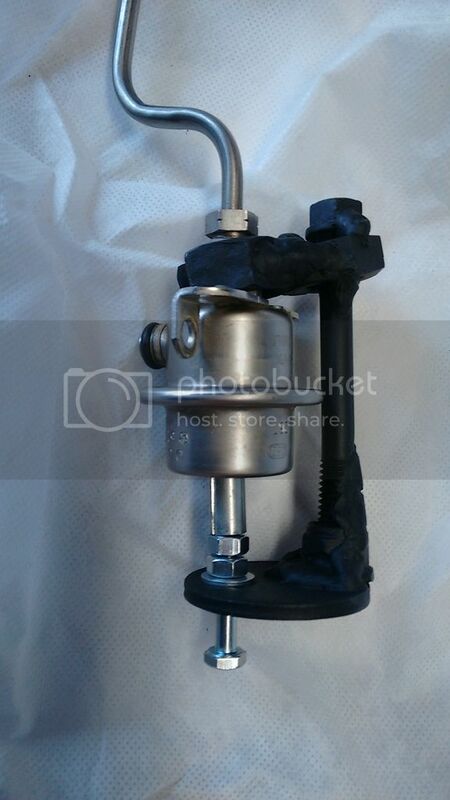 This would work out to 9% if the factory injectors flow 34 lbs or 12% if they flowed 33 lbs. This is of course not an exact scientific finding but I feel its at least in the ball park. Thanks! I'm looking forward to learning more about tuning with MPtune and I think this setup will help me do that. Been a while! Glad to see this one isn't dead! Cheers to successful logging! Having a good time getting my logging setup ready. This is one I will use to get my timing right. Clutch really did'nt like the new tune, 14 lbs boost finished it off. Built a new A523 for it with the 3.77 final drive. Installed new brass synchronizers, bearings, left side axle stabilizer and diff pin holders. Added a drain plug while I was at it. Put in a new rear main seal, clutch, pressure plate, flywheel and throw out bearing. Last edited by rgl10; 11-11-2018 at 03:35 PM. What kind of mount do you have going on there ? Gamber, havis or some homebrew setup ? It a generic I think. Amazon and Ebay sell them as part number K005-B2. I bought it with the optional brace for 50 dollars from ebay. 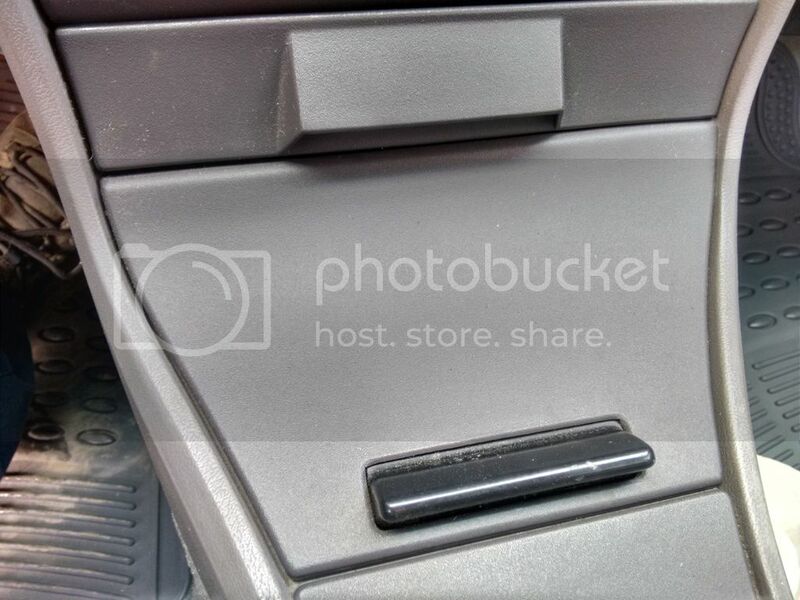 I used the front seat bolt and one phillips screw just below the glove box so I did'nt have drill any holes. Its pretty sturdy and the top pops off so it does not interfere with a person in the passenger seat. For Sale 91 spirit r/t clean, daily driver!!! Spirit R/T as a Daily Driver? 99 Dodge stratus daily driver need help! By RattFink in forum "I need help!"